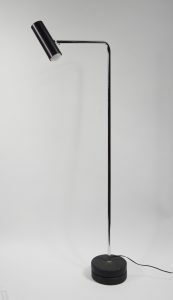 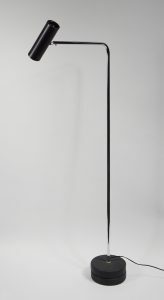 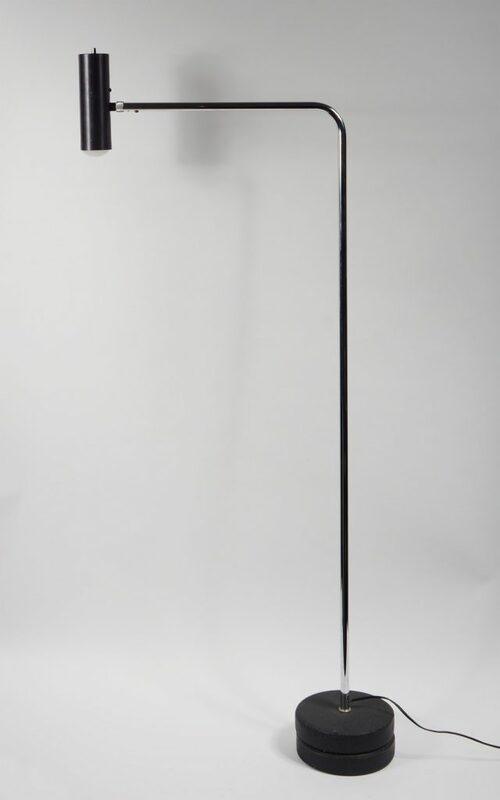 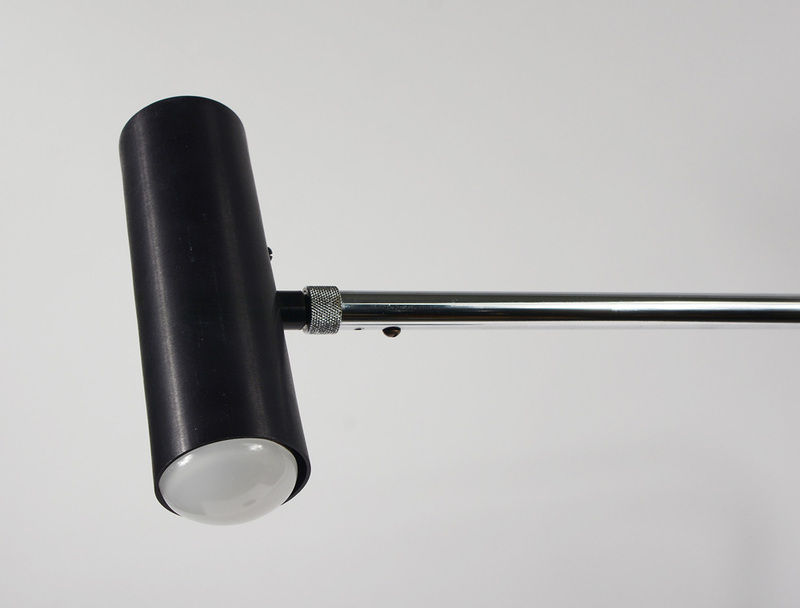 Robert Sonneman designed Minimalist reading lamp. 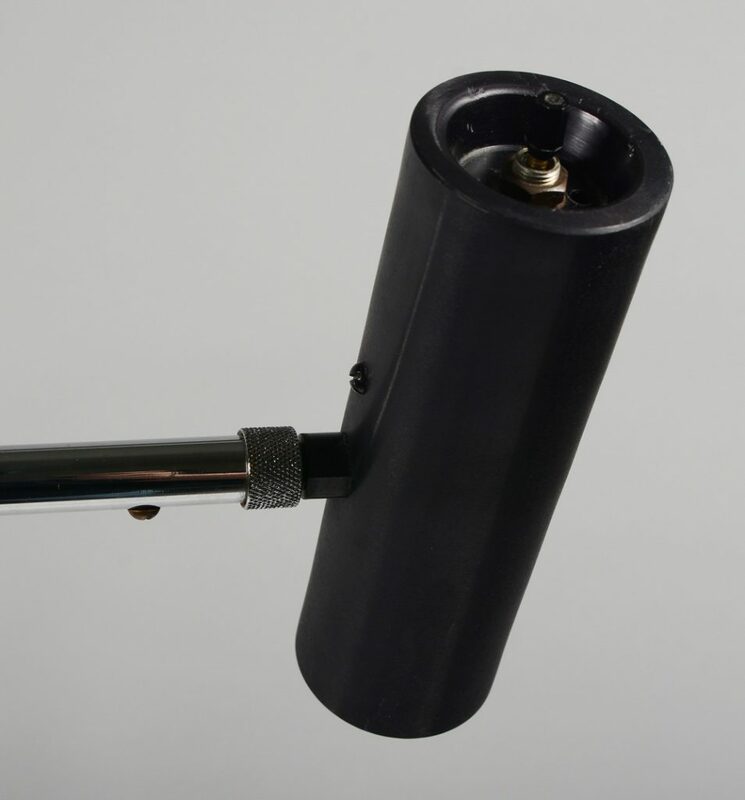 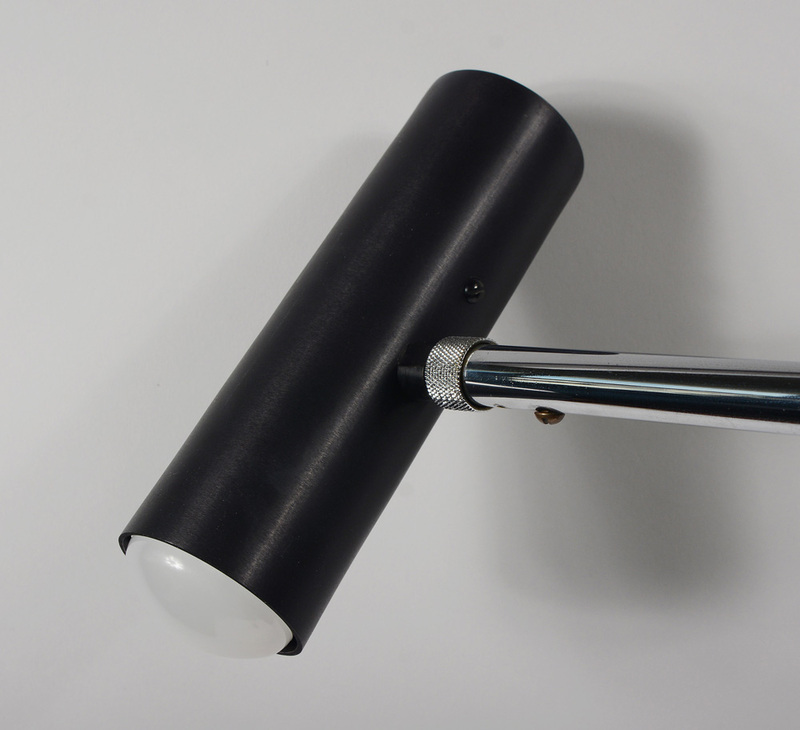 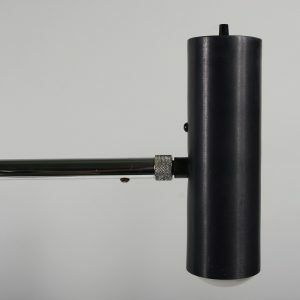 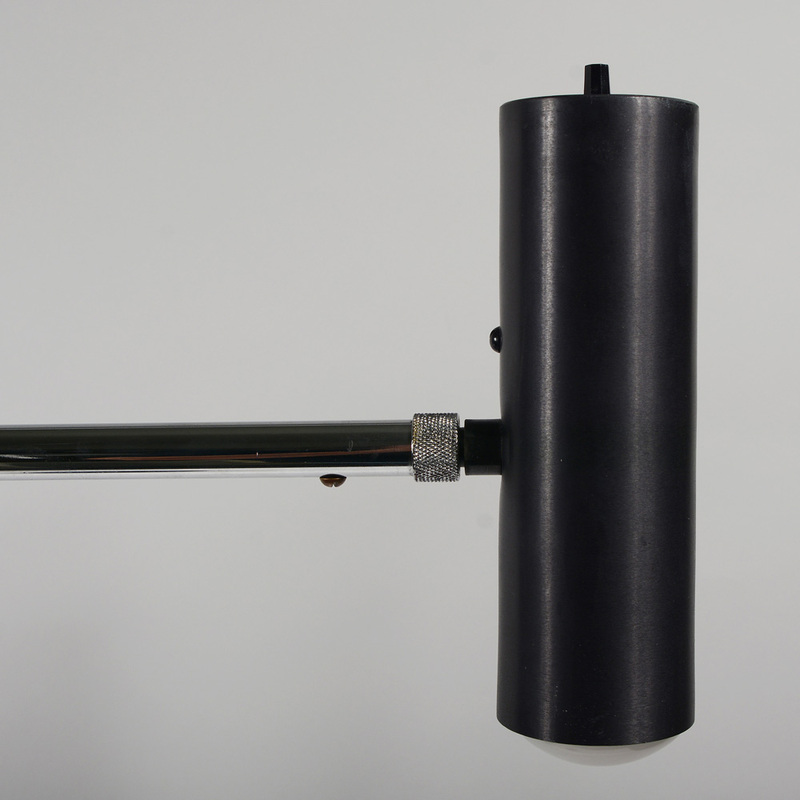 This has a black anodized aluminium shade and a black enameled cast iron base with a simple chrome tube connecting the two. 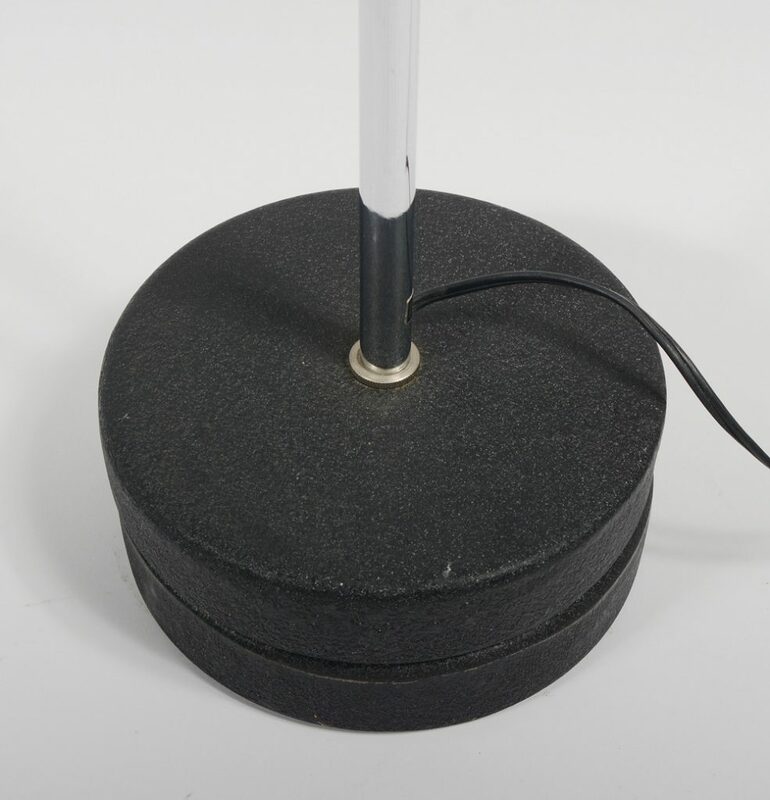 By loosening a knurled collar the lampshade can pivot a little more than 180 degrees. There are a couple of small dings on the rim around the switch. 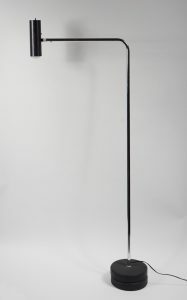 H 50.25 in. x W 22 in. x D 7 in.